“Why Faith? - Your Guide to Surviving and Thriving in Tough Times” is both a tool and a weapon that empowers people to take charge of their lives and believe in the power of God. 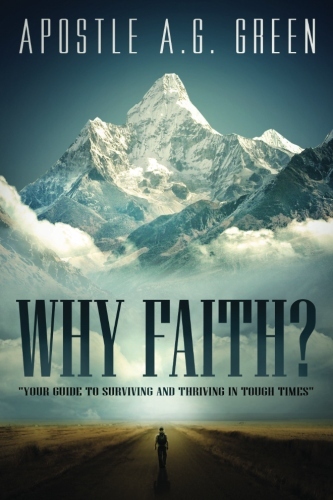 “Why Faith?” progressively informs and emboldens the reader with faith and hope to endure the tough times we live in. As people are struggling financially, socially, and vocationally, they are also wavering spiritually in their faith. It is a must read for people who have been discouraged, depressed or just want to know how to gain more faith and hope. Each chapter contains powerful tools such as “Personal Reflections” which is a series of thought provoking questions, also “Intimate Reflections” which are pure nuggets of motivation, and a “Reflections Journal” which is a place to write your thoughts or answers to questions. At the end of the book there are "Faith Building Tools", which are powerful principles that are guaranteed to increase your faith. If you are ready to grow your faith and live your destiny then you must read “Why Faith – Your Guide to Surviving and Thriving in Tough Times”.